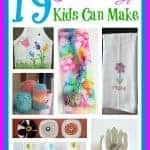 We are a pretty crafty, DIY kind of family and love to create. 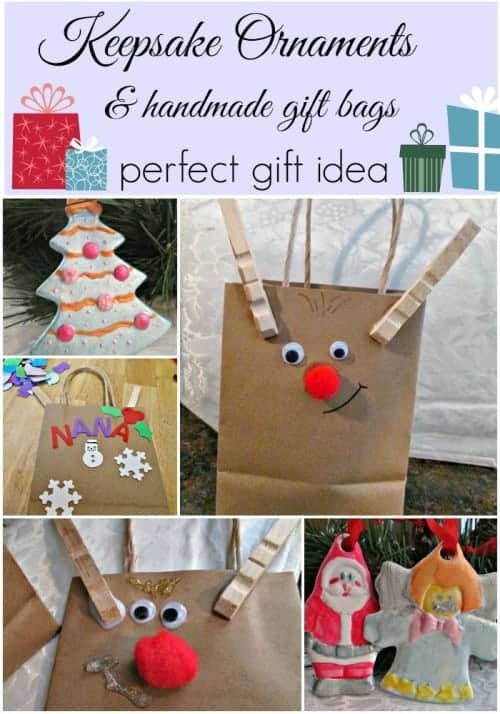 So when this time of year comes, one of our favorite things to do is make gifts. My youngest is 10 and starts thinking about it months before. I am forever hearing her say ” Look what I made for Nana and Pepere”. 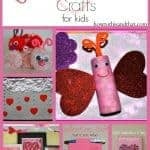 One place that helps us out with our craft projects is Oriental Trading. Did your Elementary or Middle school have a school store? Ours did and everything they purchased to sell was from Oriental Trading. I use to love looking at the catalogs that were left in the library. Well, Oriental Trading company is bigger now than ever. They still sell most of their items in bulk and at very reasonable prices. Perfect for teachers, parents, anyone with a creative side! DIY Patterned Christmas Ornaments come in a set of 12 mixed angels, santa, wreaths, trees and candy canes for $12.50 . Less than $1 each. We had a lot of fun painting them, we were even able to get daddy involved! It has been years since he picked up a crayon or paintbrush. 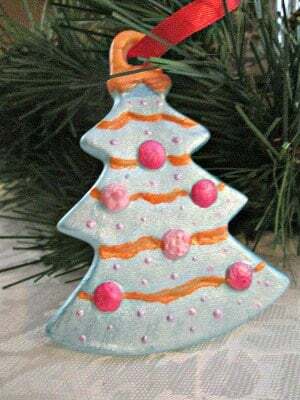 My daughter painted an ornament for her teacher, grandparents and sister. 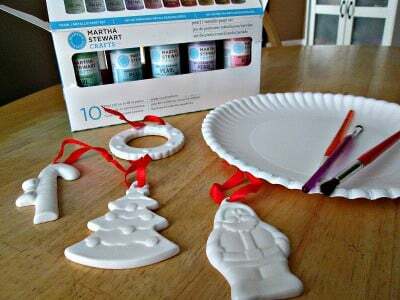 We used Martha Stewart Pearl & Metallic craft paints for these ornaments. I really like those acrylics, they are thick and the pearl shimmer is so pretty. They seem to dry really fast on the ceramic also. 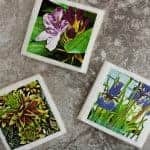 These craft paints can be used on just about any surface and cleaned up easy. A set of 10 is $20 . We made our own gift bags using the plain Gift Bags , paper bag with paper twist raffia handles. We purchased some craft stickers, glitter glue and other materials from Dollar Tree, for well, $1. The gift bags come in a set of 12 for $6.25 , about 50c each ! 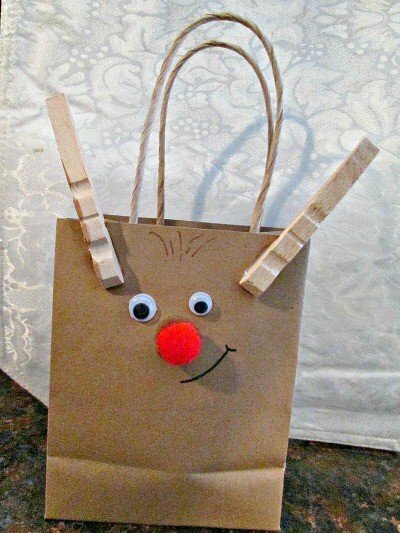 Add names, decorations and even make these super cute reindeer bags! Draw on a smile and let dry! 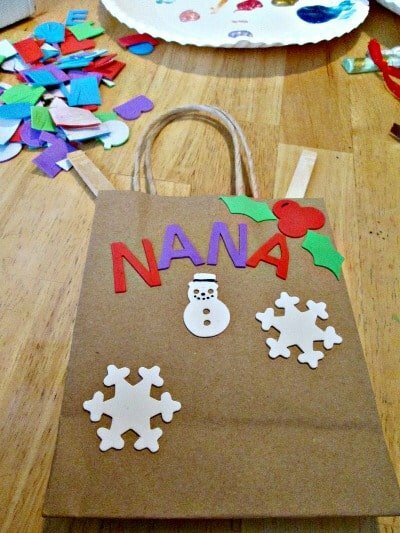 For about $40 you can create a keepsake ornament with personalized gift bag for 12 people! That is about $3.40 each. 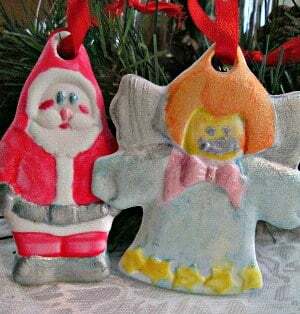 Less than the cost of most ornaments from the store and you had fun making them! Visit Oriental Trading to see what other thousands of goodies they have. I could shop there online all day long. We received a set the above mentioned product from Oriental Trading Co. to facilitate this craft post.